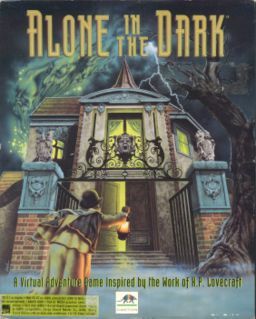 Alone in the Dark was one of the few horror computer games ever that truly gave a feeling of dread and fear to the player. It did this with wonderful sound effects, interesting camera angles, an engaging plot line, and fantastic 3D graphics for its time. Although it has a good combat system, Alone in the Dark emphasizes problem solving over combat..as with any classic Adventure Game. Adventure Gaming is sadly a forgotten genre in today’s era of gaming, adding all the more relevance to this absolute gem of a Game…easily one of the best of its kind ever made.